As a professional, it is important that you are on top of your game in both your work and personal life. And now that we are embarking on the Fall and Winter seasons, it important that you pivot and address the specific challenges that the next several months are sure to bring to you. 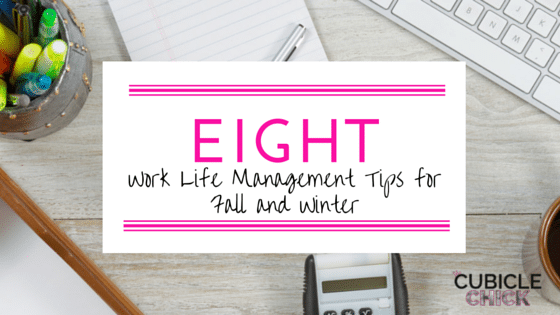 I’ve got a list of Eight Work Life Management Tips for the Fall and Winter that you can utilize to make the most of this time of year. The year is winding down, and if you are like most Americans, you haven’t made good use of your vacation time. That is time that you earned, so don’t let it fall by the wayside. Begin to use your time up by scheduling a day or two each month until the end of the calendar year. Then use this time for some needed self-care, or take a quick vacation. Use it, but please, don’t lose it. Since the days are shorter and it gets darker earlier, you may want to adjust your work hours. Leaving an hour earlier each night can give you more “facetime” with your brood, and allow you to get home before it turns nightfall. Daylight Saving Time gives you your hour back. So make good use of it by getting some rest or spend more time with your family. The days are shorter, but this is the perfect time to bond and make memories as a family. Fall and Winter bring on two of the busiest holidays of the year. So make sure that they are a priority. Schedule needed off days accordingly NOW (don’t wait until November—staffing could be an issue and you could be forced to work the day before or after Thanksgiving and Christmas) and enjoy them. You put in a lot of hours at work while also taking care of your family and others. Make sure that you also get in some time to take care of yourself. Schedule some “me-time” into your calendar and make it a consistent part of your routine. 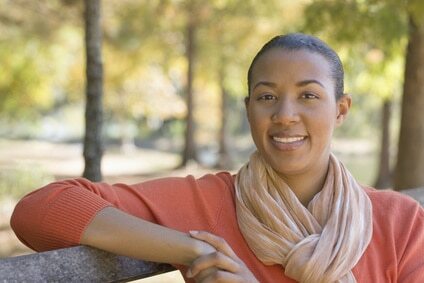 My friend and colleague Kesha from Uncommonchick.com has a fabulous e-course called Unwind: The Solopreneurs Guide To Holistic Self Care that is currently available to help you learn about self-care and how to administer it regularly. If your employer offers tuition reimbursement, fall is the perfect time to sign up for continuing education classes at a local university or community college. You can even take courses online so you can learn on your own time. Lack of sunlight can cause Seasonal Affective Disorder or Seasonal Depression from not being exposed to enough sunlight. Otherwise known as the winter blahs, it begins in people who are affected during late autumn and early winter. In order to keep your energy levels up and avoid feeling blue at work, make sure to take breaks throughout the day. Step outside (if its not too cold) to get some fresh air. When it gets too cold, walk around the office or common areas to get your blood moving and your heart racing. Doing so will keep you more active during the workday, and can curtail the feeling of being tired or moody while at work. I totally understand why you would want to skip your company holiday party, for they can be an overdone affair that you’d rather skip. But for the betterment of your personal life (and professional life), I say its best to show up, even if you don’t stay for the entire time. Being friendly with your coworkers outside of the work environment can do wonders for your professional connection. And since you are almost always encouraged to bring your spouse or partner with you, it gives you the opportunity to share this part of your life with them. Fall and winter are two important seasons that need proper Work Life Management tips. I hope these cues will help you navigate your professional life in the upcoming months. Are you in need of more Fall career advice? Read Career Checklist: 6 Things You Need to Do this Fall at Work.